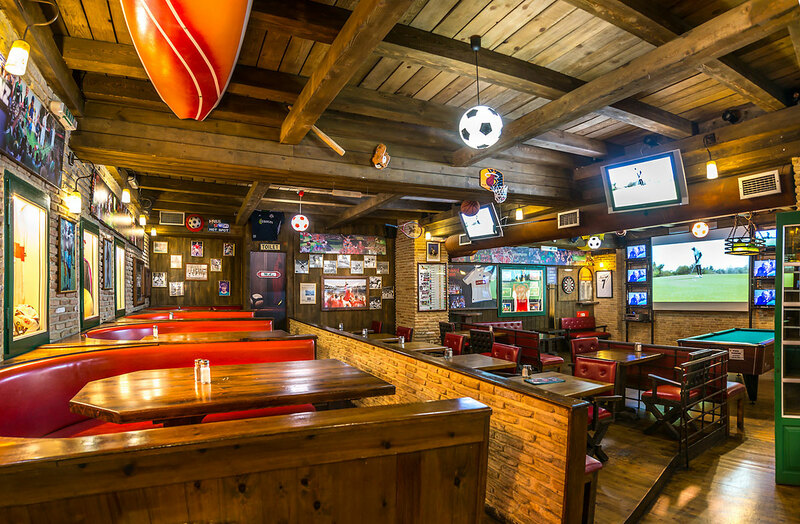 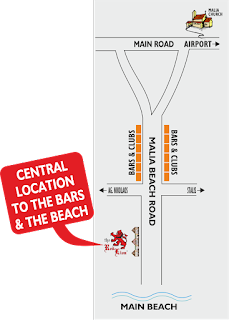 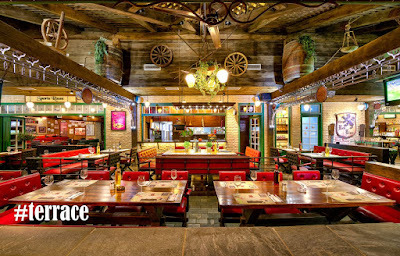 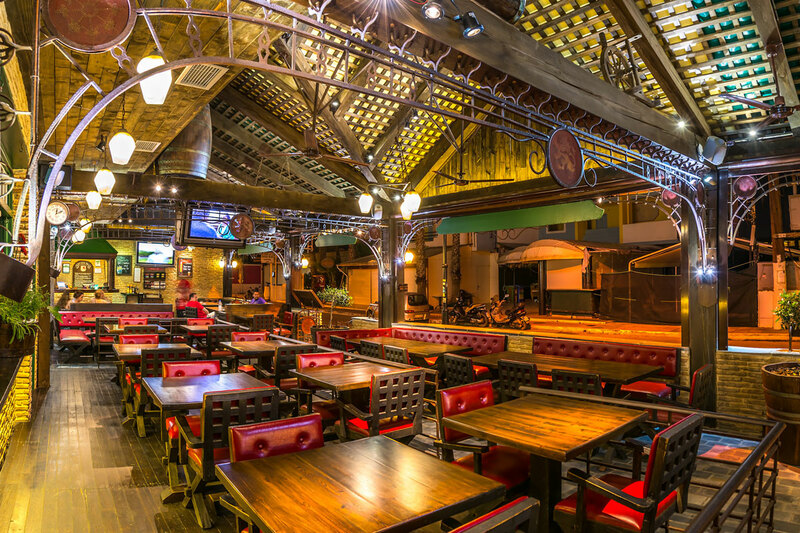 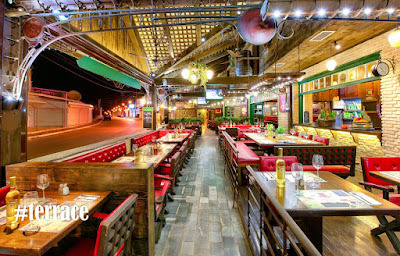 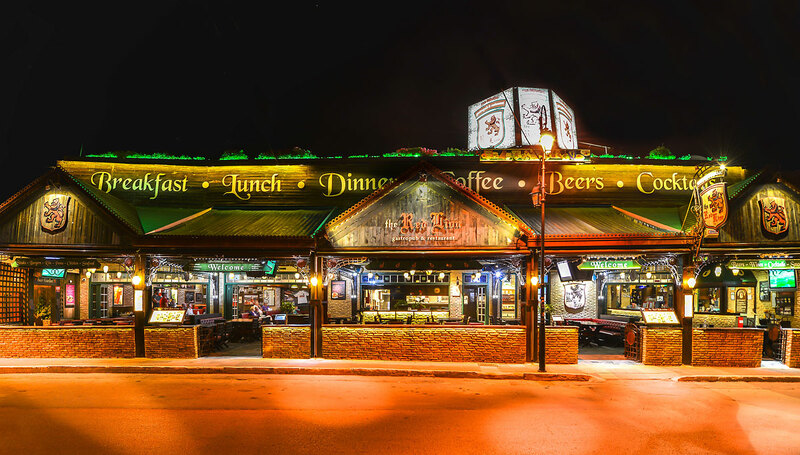 The Red Lion gastropub & restaurant is located on Malia strip (Beach road), 150 meters away from the main beach. 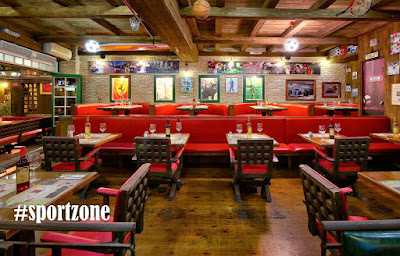 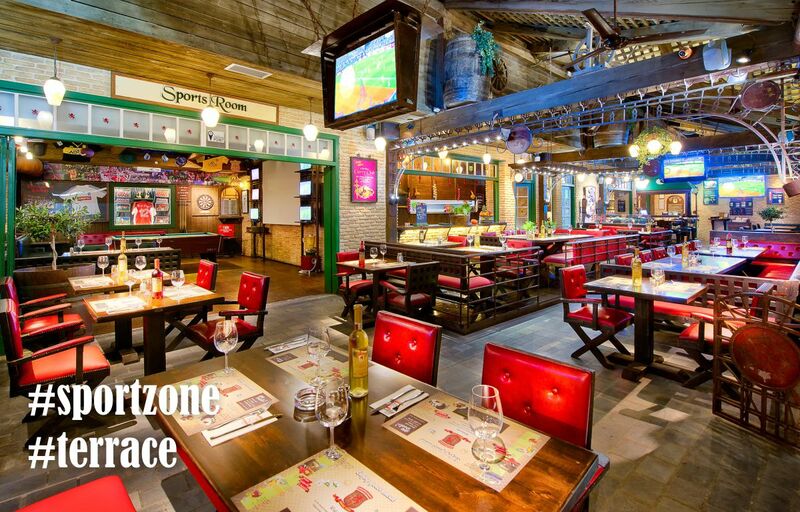 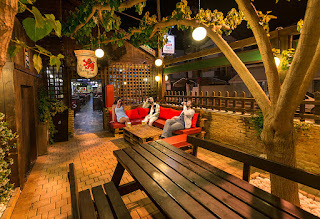 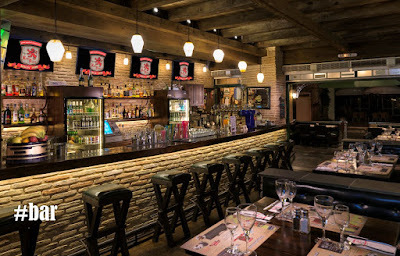 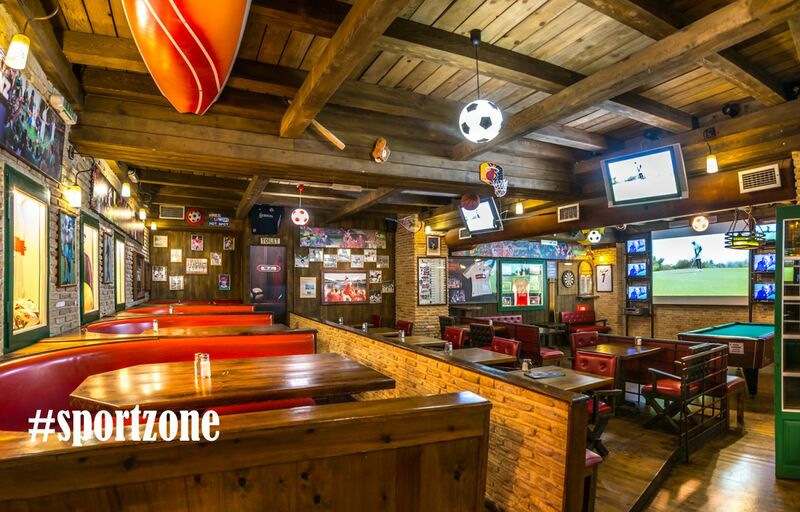 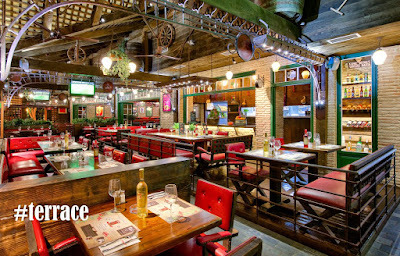 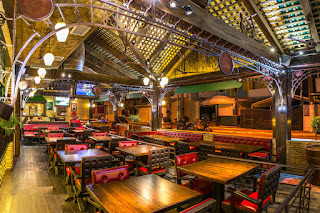 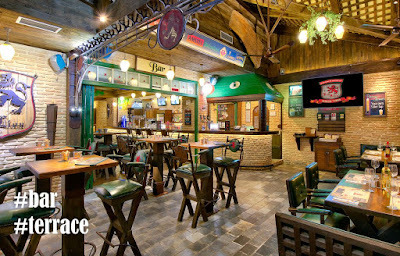 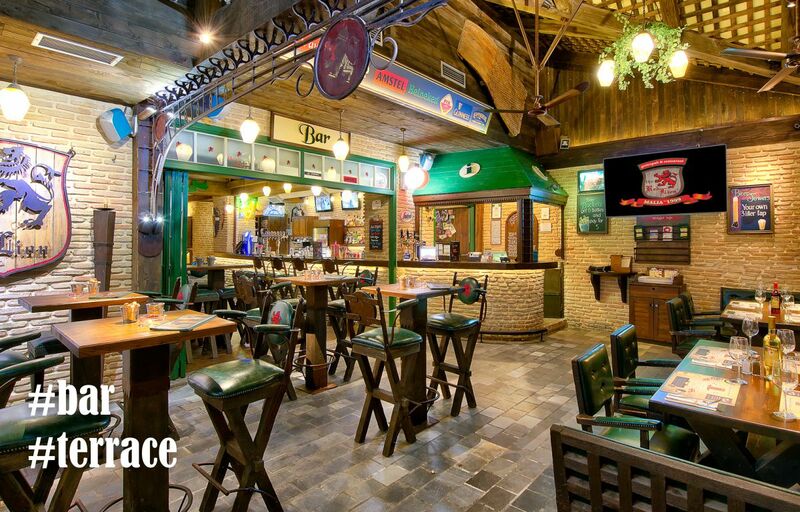 It is one of the oldest (since 1999) and most popular places in Malia, with casual and relaxing environment, excellent food and service, it is the ideal place to enjoy a wide selection of local and international fresh draught beers, selected wines, indulgent cocktails and only premium spirits. Open all day, every day for breakfast, coffee, lunch and dinner. 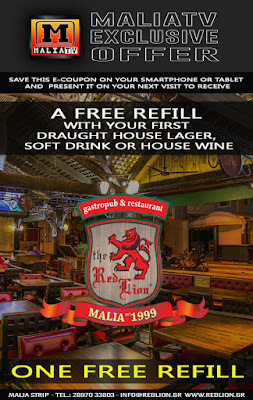 Ask our staff to receive your exclusive MaliaTV offer! 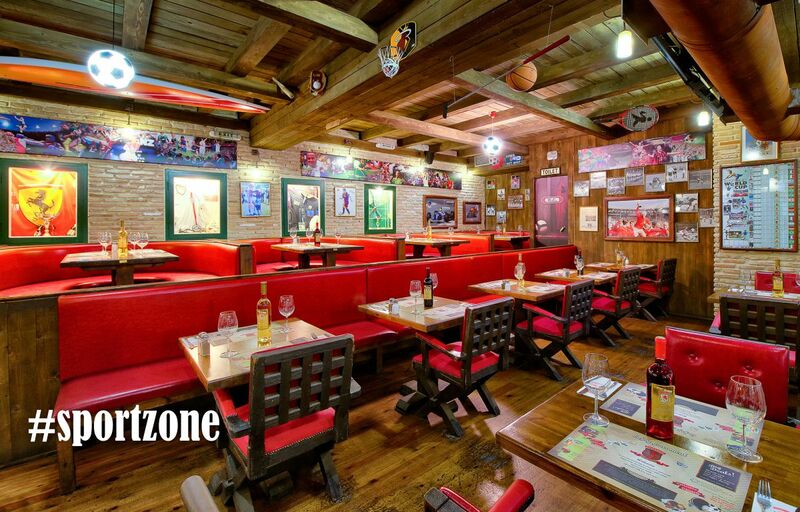 Booking, pre-orders and much offers available! 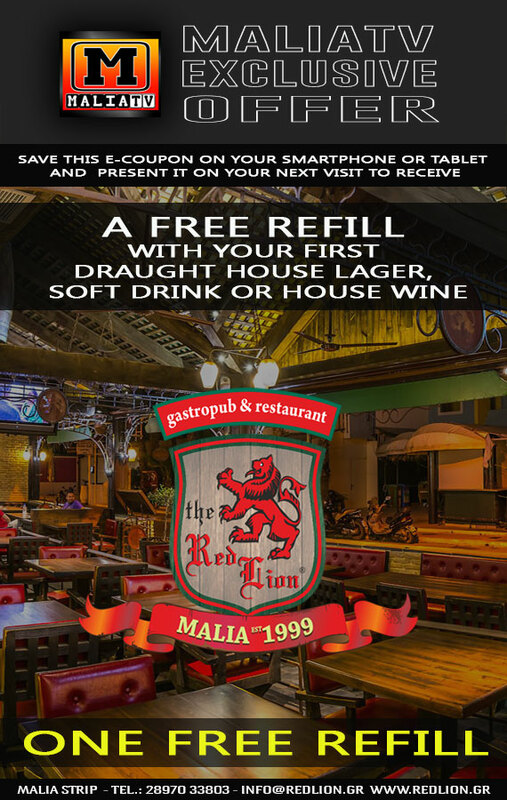 The Red Lion pub & restaurant is giving to all the MaliaTV fans and followers a FREE refill with your first draught house lager, soft drink or house wine.. save this e-coupon on your phone or tablet and present it to The Red Lion staff .